Barcelona have reportedly seen Man Utd end their interest in Ivan Rakitic, while they’ve set their sights on another option to bolster their attack. The Croatian stalwart has been a permanent fixture in the line-up since arriving at the Nou Camp in 2014, making over 50 appearances in each campaign he’s been with the Catalan giants. He looks set to repeat that feat again this year, and so it would be a shock to see him leave given his ongoing importance to coach Ernesto Valverde. According to the Evening Standard, it looks as though he’s edging closer to staying at Barcelona, as Man Utd are said to have dropped their interest in Rakitic, as Paul Pogba is expected to remain at Old Trafford. The French international has enjoyed an impressive turnaround under interim boss Ole Gunnar Solskjaer, contributing goals and assists in United’s resurgence since December. In turn, that will be a major boost for the Red Devils too if he is to stay, while Rakitic would seemingly have one less option if he were to consider an exit this summer. 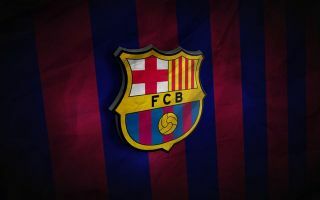 So while that’s an exit that is ruled out, Barcelona are being tipped to try and strengthen their squad too in an area in which they are arguably very light. Beyond Luis Suarez, who turned 32 last month, the reigning La Liga champions don’t have a great deal of quality depth and longevity up front, and so signing a striker has to be a priority this summer. According to Mundo Deportivo, Valencia forward Rodrigo has now been added to the transfer shortlist, although while it’s noted he has a €120m release clause, it’s added that Real Madrid were in talks over signing him last year for over €50m. That seems like a more realistic valuation for the 28-year-old, who has scored 11 goals and provided seven assists in 37 appearances so far this season. At 28, he doesn’t offer a longer-term plan, but it could be a crucial signing regardless to help Barcelona continue to compete on multiple fronts moving forward.